I break up the words Every and Day very intentionally. Not because the abbreviation EDC makes more sense that way (vs. Everyday Carry), but because that's the entire point of EDC. You have to carry every day, everywhere, every time, no matter what, otherwise you're fundamentally missing the point of carrying. It isn't a trend, or a fad, or a box to be checked on your gun guy/prepper card, it is a lifestyle and a fundamental shift in your way of daily life. 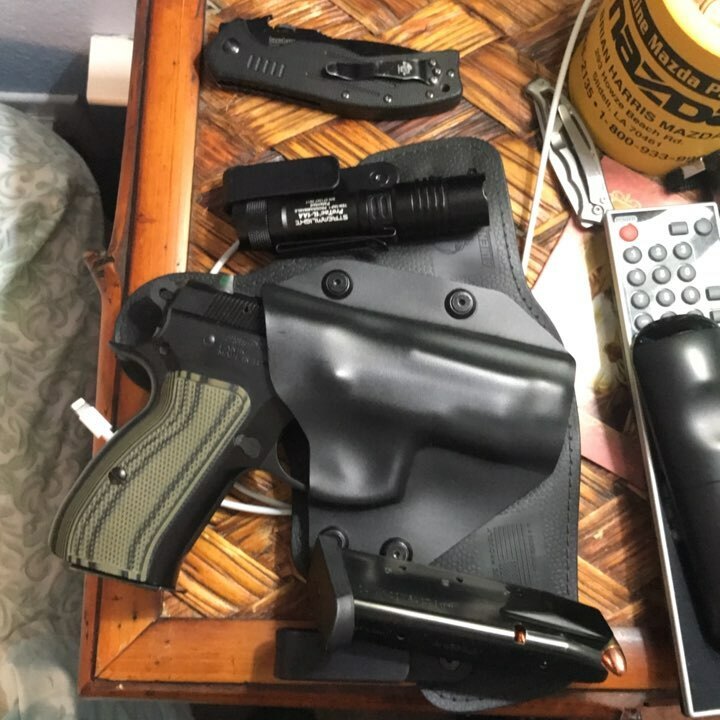 The point of EDC is to make the effort to have those items on your person every day, just in case you need them. To that end, I'm going to dedicate a single paragraph to WHAT I think you should carry, and the rest of the article to where and why. A handgun, in those municipalities in which you can obtain a permit (or those freedom loving places you don't need one) is a given. A knife is a good backup, or even a primary if a handgun is out of the question. In the absence of those two, figure out WHAT your options for defense are within the laws of your state. Nowhere in there do I mention anything other than law, because I don't frankly care if a business has an opinion on your right to defend yourself and I don't advocate you disarming yourself at their whim (look for a future article about Non Permissive Environments.) I also recommend a good flashlight, a charged up cell phone (all sorts of utility to be found in modern smart phones), and if not on your person then close by and accessible some sort of medical gear with a focus on hemorrhage control. Grocery store - I'm going to assume your family is somewhat similar to mine, and you make weekly if not more often trips to the grocery store (kids these days do their best to eat you out of house and home). Regardless of the length of time you spend out, it goes without saying you're going to be there fairly often, and surrounded by a lot of people in a place where entrances and exits are consolidated to prevent theft. These attributes make grocery stores attractive to a person looking to commit a mass shooting. Theatres - Where legal, I will always be armed when out with my family. The fact that a threatre shooting occurred here in Louisiana a few years ago, and have occurred in other states every so often, reenforces the idea that I should be armed. Again, controlled access and lots of people distracted by lights and sounds makes an attractive target. Restaurants - As before, lots of people, distraction, many people consuming alcohol. Every state I'm aware of insists that if you are consuming alcohol, even with a concealed weapon's permit, that you disarm. It is for this reason I carry and do not order beer or other alcohol with my dinner. I can wait till I'm home to drink a beer rather than leave my family defenseless. Retail stores - Lots of people, controlled access, lots of distractions. I could go on and on for pages, but the gist is if you are not facing a FELONY charge for carrying in a place, I advise you do so. Whether or not you consciously avoid places in which you are legally prohibited from carrying (like state/local/federal buildings, one day someone will explain to me how I can be legally required to enter a place and legally disarmed simultaneously) is a decision each person individually must make. Personally, I avoid spending my money in places with public declarations that their patrons not carry firearms, or I just willfully and flagrantly ignore them. If you disagree, I encourage you to hop on the Facebook page or group and tell me how you feel about it.